Although our offices are located in Toronto, GAO RFID is constantly providing tailored RFID solutions to companies in the Seattle area. 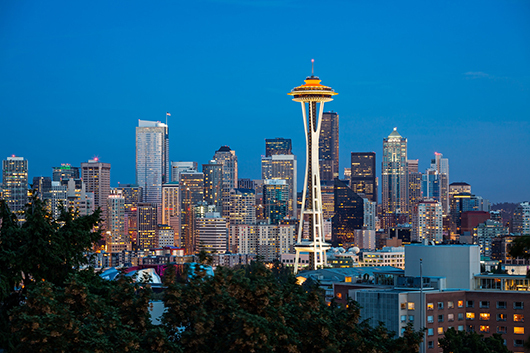 Seattle is one of the fastest-growing cities in the United States. Its economy is a delicate mix of older and newer industries, making it one of the most unique landscapes in the Pacific Northwest. Seattle is a gateway to Asian trade routes given its location along the U.S. coast. While the city benefits from this strategic positioning, the surrounding areas of Tacoma, Bellevue and Everett also enjoy a great deal of economic success. GAO RFID Inc. is acutely aware of Seattle’s status as an economic powerhouse on America’s west coast. It has become the country’s new ‘Silicon Valley’ as budding Internet and technology companies plant their headquarters in the Emerald City. And when it comes to RFID solutions, many Seattle IT organizations are looking to GAO’s RFIDY Systems for the Information Technology sector to meet their needs. Much of Seattle’s success is due to its strong manufacturing base. For example, the nearby cities of Everett and Renton serve as the manufacturing headquarters for aerospace company Boeing. GAO’s Line Control RFID System is one of the smartest options in this industry, and is designed for the aerospace manufacturing industry. Our clients have protected their bottom lines by using GAO RFID to tackle the issue of process control. They have optimized workflow — while maintaining quality — through the use of our sophisticated ‘Gen 2’ series. Seattle’s economic efficiency is supported by its transportation infrastructure. Although the city is known for its high walkability score, commuters are able to get around easily using one of its three public transit systems. 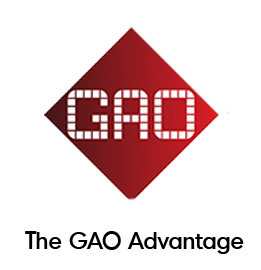 GAO RFID is a leader in Rail Safety Management. Trackside worker safety is a major concern in Seattle’s metropolitan area. But GAO RFID Systems make the rail transportation industry safer through the use of our real-time tracking technology. Train operators are notified of rail workers nearby, giving them enough time to slow down and proceed cautiously. With Seattle’s strategic positioning on the west coast, it’s no surprise the city would serve as a hub for conferences and events. For its organizers, maintaining control is easy with GAO’s Event Management RFID System. Our software allows clients to track attendee registration and target marketing initiatives to certain demographics. During the event, use our RFID tags and readers to monitor the audience — ensuring a safe environment for all participants. Discover why GAO RFID has become the trusted source in the Seattle area. Our team of certified professionals includes experts in managing the logistics of this diverse, yet highly complex, city. 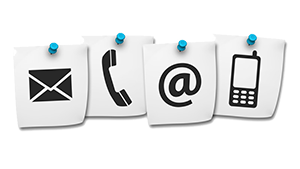 We have the knowledge to grow your business, without compromising on security and customer service. The Alaska Fisheries Science Center is the research branch of the National Oceanic and Atmospheric Administration’s National Marine Fisheries Service responsible for research on living marine resources in the coastal oceans off Alaska and off parts of the west coast of the United States. The University of Washington is one of the world’s pre-eminent public universities. Ranked number 10 in the world in Shanghai Jiao Tong University rankings and educating more than 54,000 students annually, its students and faculty work together to turn ideas into impact and in the process transform lives and the world. Learn more about how our RFID Systems can be used in the Education industry.